This Royal Lincoln bicycle was in the British Cycling Museum in Camelford, Cornwall, for many years. After the collection was sold, I purchased it from the new owner. I’ve not seen another of this marque. This bicycle is extremely rare, but its saddle is even rarer (see further down the page). The paintwork is in good original condition, with its box lining intact and the ROYAL LINCOLN name still showing. Magistrates fined a Lincoln garage boss £1 after he admitted speeding – at 6mph. R.M. 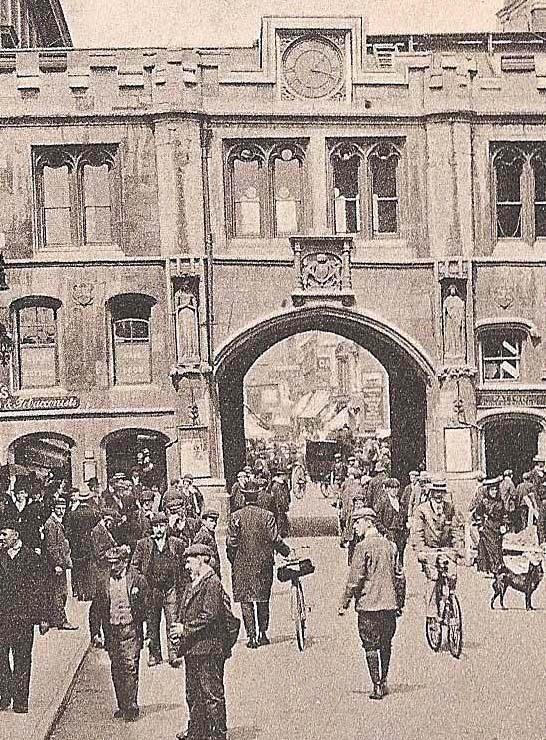 Wright was driving his car around the Guildhall Street and High Street corner when he was stopped by police and charged with dangerous driving. Wright, who owns a Lincoln car dealership, admitted he had been travelling at 6mph – well within the 14mph speed limit. But magistrates thought that was too fast. R.M. 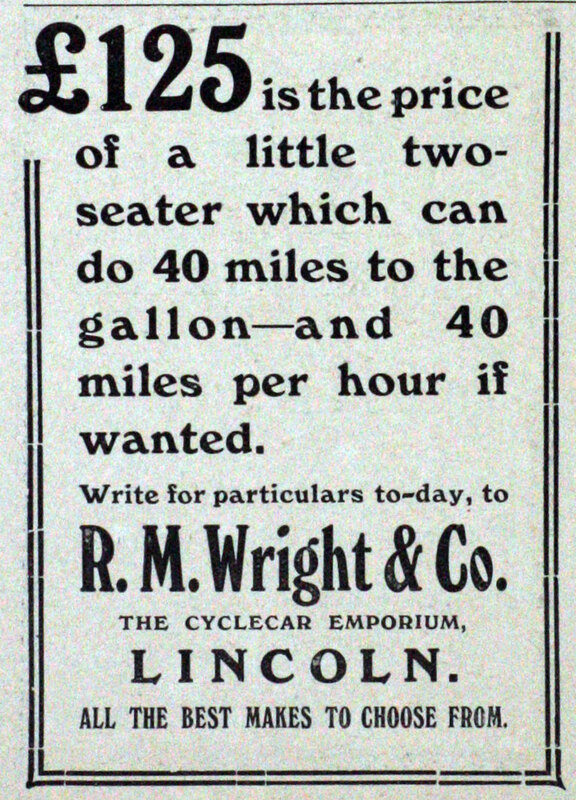 Wright was the pseudonym of Albert George Dykes, used in his cycling racing career as his family did not approve of his activities. 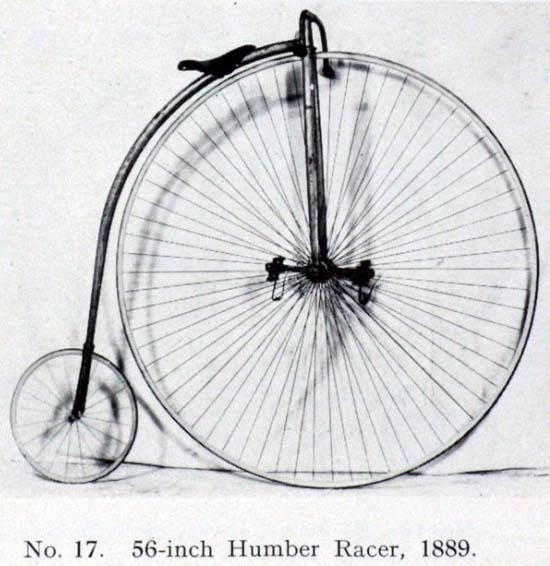 He is recorded as receiving a 56 inch Humber Racing Ordinary in 1889, specially built under the personal supervision of Thomas Humber: He went on to win many prizes on this machine. 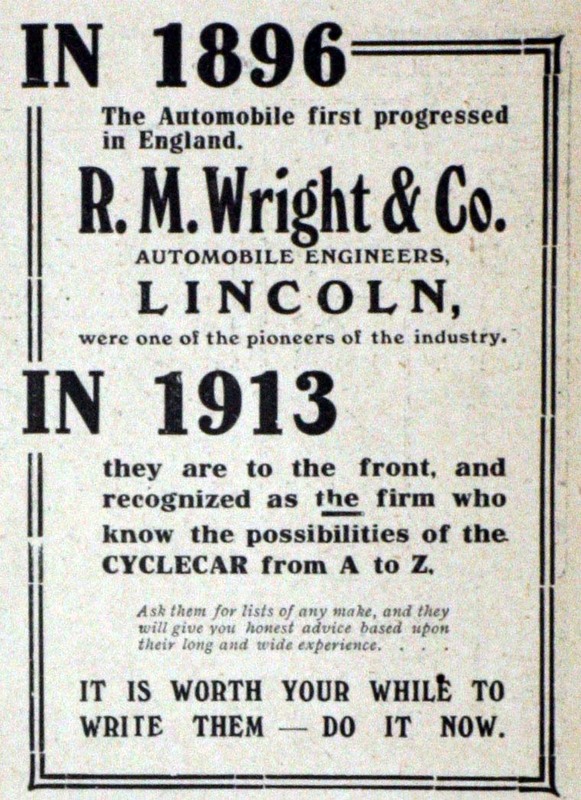 As well as racing, Dykes also sold bicycles, his well-known brand name being The Stonebow, named after Lincoln’s famous landmark situated outside his premises at the junction of Guildhall St and High St.
Like many other cycle manufacturers, he was fascinated by motorized transport and, though it was still in its earliest days, he foresaw the potential of the automobile industry. During 1900-1901 he marketed the Stonebow ‘dogcart’ cyclecar, which was manufactured by Payne & Bates of Foleshill Road, Coventry, and was fitted with an Aster single-cylinder 5 hp engine. 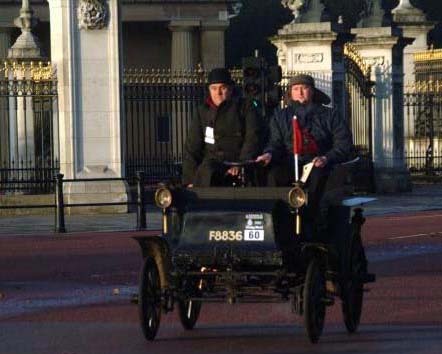 You can see the only remaining 1900 Stonebow Dogcart Cyclecar below, in the 2002 London to Brighton Veteran Car Run. One of the features of this bicycle is the Gough & Co ornate lady’s saddle. This is one of the rarer models of special lady’s saddle that were popular at the time. The year ‘1908’ is engraved into the top of the saddle. Dating a saddle so prominently guarantees to make it outdated very fast – who would want a 1908 saddle the following year? It is therefore extremely rare now, over a century later. In fact, it’s probably the only one still in existence. 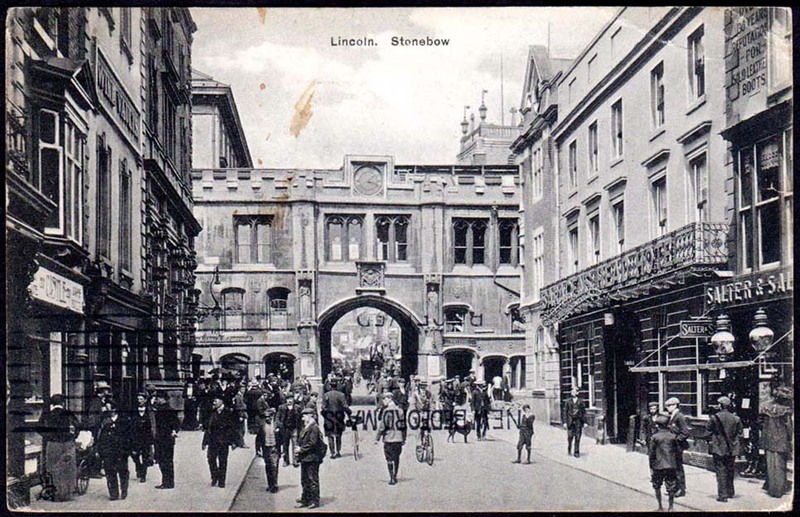 The Stonebow stands at the top of the High Street, where the Roman gateway to the south of the city once stood. In its present form, the Stonebow was built in the early 1500s and is a great display of Tudor craftsmanship. The bell in the roof of the building has been dated to the 1371, and is rung only for the traditional occasion of calling Lincoln’s Councillors to their meetings that take place in the chambers above the archway. In 1916 the artists Vanessa Bell and Duncan Grant moved to Sussex with their unconventional household. Over the following half century Charleston became the country meeting place for the group of artists, writers and intellectuals known as Bloomsbury. Clive Bell, David Garnett and Maynard Keynes lived at Charleston for considerable periods; Virginia and Leonard Woolf, E.M. Forster, Lytton Strachey and Roger Fry were frequent visitors. Inspired by Italian fresco painting and the Post-Impressionists, the artists decorated the walls, doors and furniture at Charleston. The walled garden was redesigned in a style reminiscent of southern Europe, with mosaics, box hedges, gravel pathways and ponds, but with a touch of Bloomsbury humour in the placing of the statuary. ‘It’s most lovely, very solid and simple, with…perfectly flat windows and wonderful tiled roofs. The pond is most beautiful, with a willow at one side and a stone or flint wall edging it all round the garden part, and a little lawn sloping down to it, with formal bushes on it.’ Vanessa Bell. What could be a better backdrop for a well-preserved 90-year-old lady’s bicycle? Thanks to its dedicated group of volunteers, Charleston is also wonderfully preserved. It’s one of our favourite places to visit. To step out of the 21st century for an hour and soak up a calmness created here by a group of artistic folk so many years ago is the very essence of time-travel. It’s open from April each year and I thoroughly recommend a visit.